Day 4 is coming to a close and want to know whats on my mind? Other than brunch ALL I WANT is Carrot Cake. Seriously? YES. All different types of Carrot Cake. Carrot Cake in the form of cupcakes with cream cheese icing. Carrot Cake like the 6 layer carrot Cake that was made lat night on Kitchen Nightmares. OMG can I JUST shove my face in it? 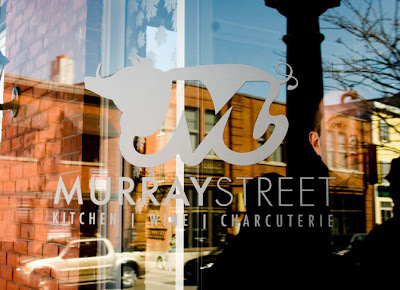 Carrot Cake from Murray St. They have fabulous Charcuterie too! I think you get the point.... clearly I have been torturing myself with Carrot Infused goodies via Food blogs. Please note these pictures do not belong to me and I used Google images to get them. What do you crave? what are your favourite treats to eat? Oh my gawwwwwwwwd Fresh has the best carrot cake ever made. Every single person that I have brought there has said that it is the best thing they have ever tasted, whether they were vegan or not. It is so moist and delicious. I have actually called in and ordered WHOLE ones for my Birthday and Graduation. That's how good it is. You will be shocked and happy and in love. I can't wait. Love this post! I was the same way as I got closer to the competition and things continued to get cut, I was craving huge bowls of oatmeal with a BANANA and brussel sprouts! I also craved chocolate and peanut butter like crazy too!Everyone says it won't taste as good when you finally get to eat it, but don't listen. I don't even remember tasting anything, it was all about feeding the mental craving finally! And it was wonderful! I watched Master Chef last too! I don't even like carrot cake and that cake looked delicious! Do not tempt me with carrot cake. The closest thing to actual carrot cake that I can eat is a mini carrot cake from Weight Watchers. I know, right? Sad. Yum! I love oatmeal & Carrot Cake! Cool, I've been seeing a lot of stella and dot woman around at different events. Let us know how your party goes! I love carrot cakes!! Oh so yummy haha..A craving I am having for a long time..Red Velvet Cake..its my absolute fav and actually I make a pretty good one..at least that what people have told me haha...with cream cheese icing its heaven!!! What do I crave? Um how many chapters do you want? Let's start with smore cookies. Next maybe a chili cheese dog. Then some chili cheese fries. I like coca cola from Mexico. Only drink soda there. Oh and cream cheese on a fat bagel. Then sushi with cream cheese. Tempura! Ok I'm gross and I'll stop. U must post pics of your victory brunch! Don't wear that belt uh oh. Carrot cake looks good! I got your comment ok - and thank you! I cannot believe how strong you are... googling food images?! I could never do that! I'm hungry already just by seeing your pics! I'm an insensitive carnivore, so most of the times I crave for something meaty or plain salty! Have a lovely day! Now all I can think about is carrot cake!! Yummy, the carrot cake looks so delicious!!! 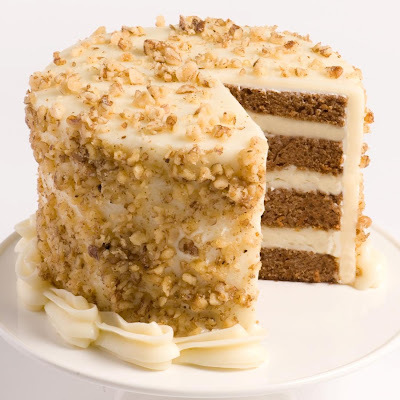 I love carrot cake and I bake any amazing delicious one. It is so moist and everyone has always given me lots of comments on it. ..Okay now I am going to have to bake myself a carrot cake this weekend. Carrot cake is one of my absolute favourite desserts! When I was in uni on a meal plan they were too cheap to put real cream cheese in the carrot cake frosting, so we used to scrape it off, mix in cream cheese from the bagel station and scoop it back on. This is the LCBO recipe I was telling you aboutÀ(http://lcbo.com/lcbo-ear/RecipeController?language=EN&recipeType=1&action=recipe&recipeID=3379), I'll try to track down my ex-roommate's recipe too. I hear ya! I'm dreaming of greek yogurt with granola and fruit! :-) I'm so excited for you!! My mouth is watering right now. I didn't know until this moment, but I am totally craving carrot cake and could eat it for every meal. It sounds that good. Just discovered your blog and I love it! Would love for you to check mine out and follow if you like. Love making new bloggy friends! Um, I think the real question is what DON'T I crave! :P Sweet, salty and sour, I crave them all! As for the 31st of July, I'm supposed to be at a cottage that weekend :( I'll let you know if anything changes! Now all I can think about is carrot cake! And ohmygoodness, you're getting so close! new post :)Greets! good week ! Yumm! 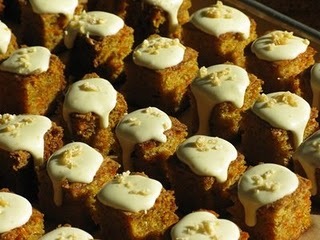 Carrot cakes! You asked about the coconut cupcakes - and I apologize I missed your comment - you CAN make with handheld electric beaters...but the butter & sugar is beaten for 5 minutes.... Good Luck and I think carrot cake is a fine idea! hahahaha.. about 4 days out from my show I posted almost the EXACT same blog! Thank you! i will be making your recipe soon enough! Lol I know its been on the brain for a while! and show day tomorrow! OMG nutella is a wonder isnt it? I will definitely take a look right now. Im so sorry I didnt get a chance earlier. Its been one crazy week as you can imagine!